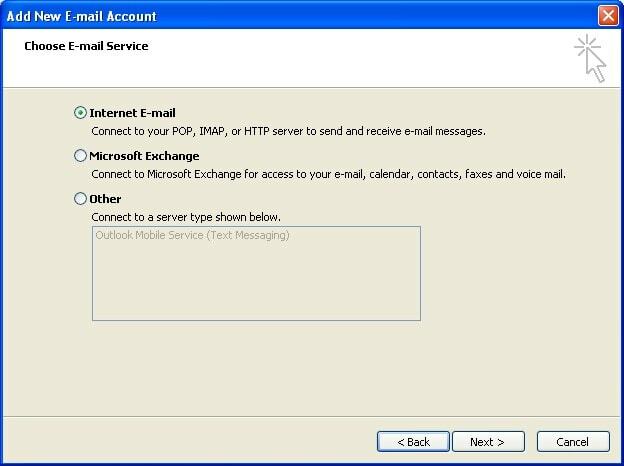 This article will guide you through setting up your POP email account on your computer (please be careful to select the account type as POP rather than IMAP). 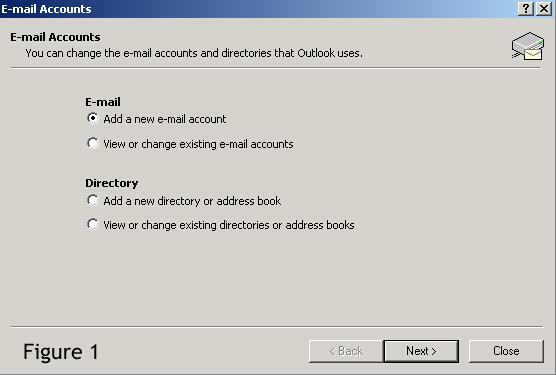 There are a number of different versions of Outlook available. 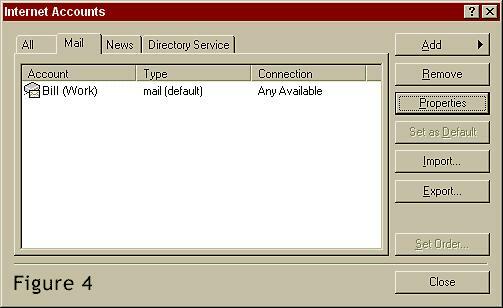 This information page covers the three most common versions are Outlook XP, Outlook 2000and Outlook Express. To determine which version you are using, use the “Help” menu and look for an item called “About …”. 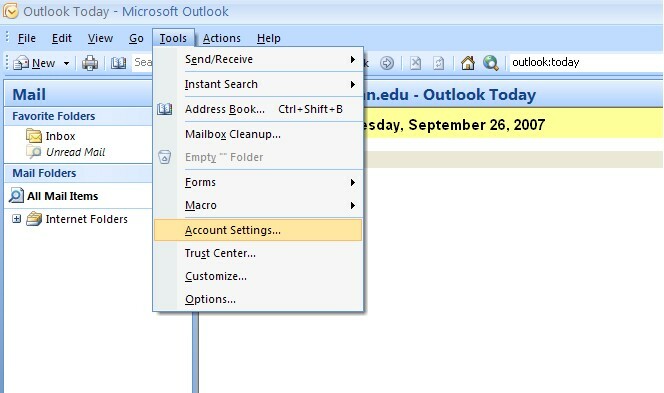 In the “Account Settings” window, on the “E-mail” tab, click the “New…” button. 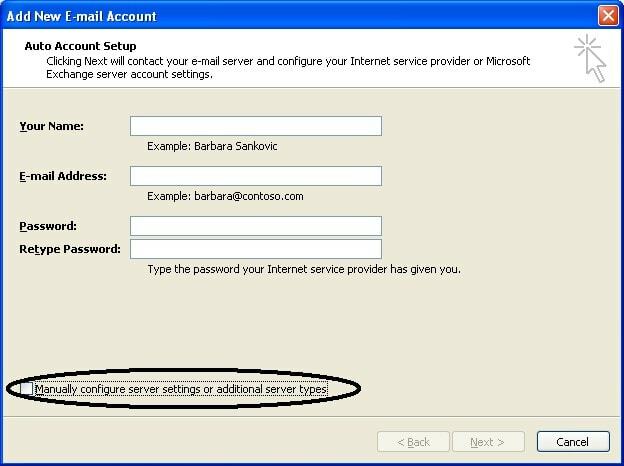 On the bottom of the “Add New E-mail Account” check the box for “Manually configure server setting or additional server types”, then click “Next >”. 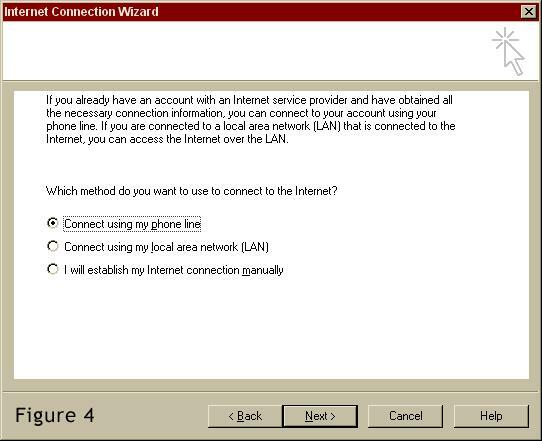 Make sure that “Internet E-mail” is selected then click “Next >”. Compare your setting with the settings shown in the figure below. Replace our name “Bill Smith” with your name and our email address bill@domainname.com with your email address. Incoming Mail Server (POP3) should read mail.yourdomain.com.au (be sure to substitute ‘yourdomain’ with your domain name). Outgoing Mail Server (SMTP) will depend on your Internet Service Provided (ISP). Try contacting them to find out the correct setting for this. 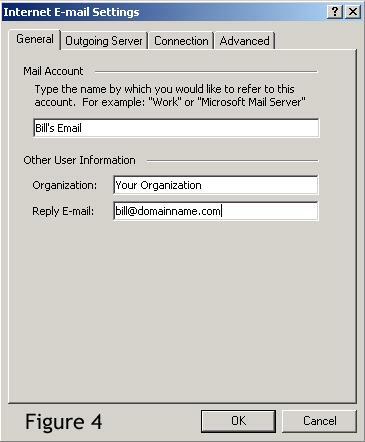 Please Click Here to see a list of common ISP’s outgoing mail servers. Please contact us if you are unable to contact your ISP and we will offer assistance with this. Type in your username (as provided by Excite Media). Your username should be your full email address. Type in your password (as provided by Excite Media). Compare your setting with the settings shown in Figure 3. Replace our name “Bill Smith” with your name and our email address bill@domainname.com with your email address. Outgoing Mail Server (SMTP) will depend on your Internet Service Provided (ISP). Try contacting them to find out the correct setting for this. 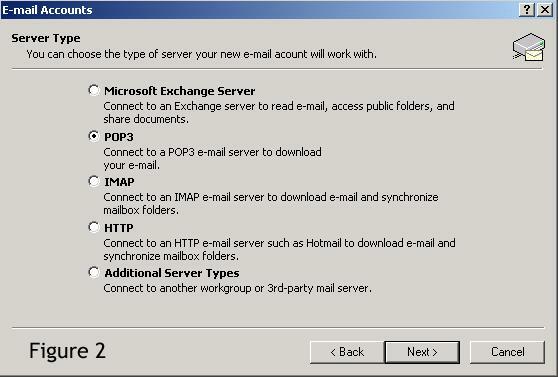 Please Click Here to see a list of common ISP’s outgoing mail servers. 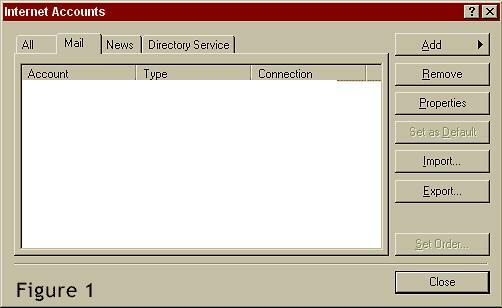 However, if you are unable to contact them, you may be able to use mail.yourdomain.com.aufor your outgoing server as well. Type in your username (as provided by Excite Media). Mail Account name can read anything you want your email account to be. You can leave it as mail.yourdomain.com.au, or you can make it simpler for you by typing in something like Bill’s Email. Organization can be left blank, or you can type in your Organization’s name. 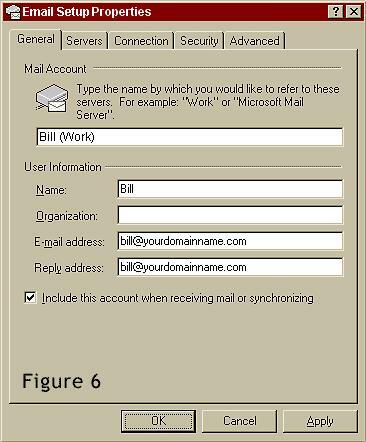 Reply Email Address should read the same as your email address (bill@domainname.com). Make sure the box is checked that says My outgoing server (SMTP) requires authentication. Leave it saying Use same settings as my incoming mail server. 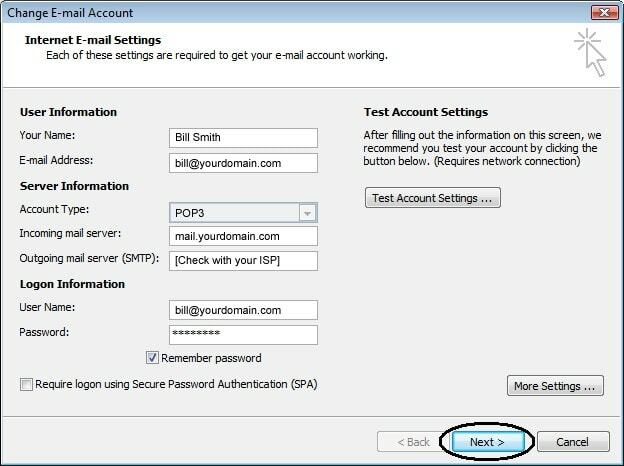 Click Test Account Settings… to make sure that your email address is working properly. If it comes back with an error, make sure that you have everything set up correctly again. If it works properly, click Next. Now you can click on Finish and your new email should work. You can send a test email to someone to make sure it is working properly. Enter a display name. This is what will appear in the From line on your outgoing messages. Incoming Mail (POP3, IMAP or HTTP) server should read: mail.yourdomain.com.au (be sure to substitute ‘yourdomain’ with your domain name). Outgoing Mail Server (SMTP) will depend on your Internet Service Provided (ISP). Try contacting them to find out the correct setting for this. However, if you are unable to contact them, you may be able to use mail.yourdomain.com.au for your outgoing server as well. Click on the account and select Properties. Make sure include this account when receiving mail or synchronizing is checked. Make sure the box labelled My server requires authentication is checked. Send a test email to see if the account is functioning properly. Enter a display name. This is what will appear in your outgoing messages. Make sure the box labelled “Include this account when receiving mail or synchronizing”, is checked. On the Mail menu click Preferences. Then click Accounts. Click the Add (+) button to add an account. Choose POP from the Account type pop-up menu. On the “Description” line fill in a name or description that you would like to associate with this account. This is used by Mail for display purposed so can be set to anything. On the “Email Address:” line fill in your email address. On the “Full Name:” line fill in your name. This is what will be displayed in the “From” section when people receive an email from you. On the “Incoming Mail Server:” line fill in mail.yourdomain.com (replace yourdomain.com with your actual domain). On the “User Name:” line fill in your full email address. 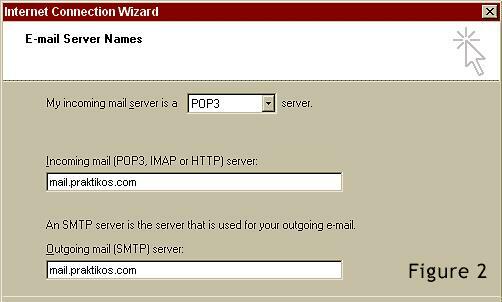 In the pop-up menu next to “Outgoing Mail Server (SMTP):” choose add server. 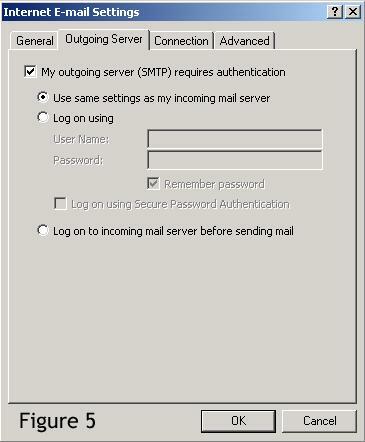 The SMTP Server Options window will appear. 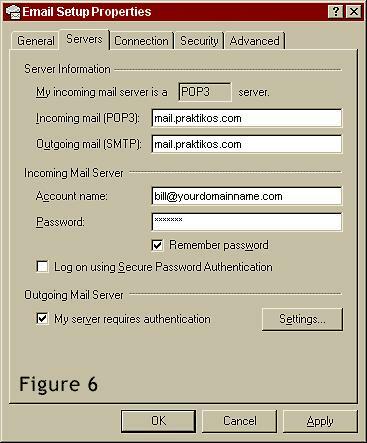 The setting for “Outgoing Mail Server:” will depend on your Internet Service Provided (ISP). Try contacting them to find out the correct setting for this. Please Click Here to see a list of common ISP’s outgoing mail servers. Please contact us if you are unable to contact your ISP and we will offer assistance with this. 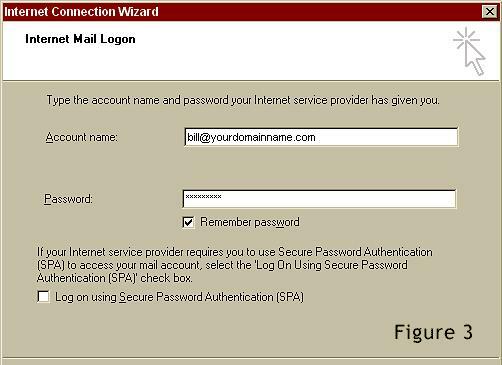 Authentication is not required if you are using your ISP’s Outgoing Mail Server. The Mail preferences window can now be closed. Select the “Settings” option form the home screen of your iPhone. Once in your settings section, select “Mail, Contacts, Calendars”. Under “Accounts” select the “Add Account” option. On the “Add Account” page select “Other”. Once you have entered these details, select “Save”. The iPhone will now attempt to automatically retrieve the server settings, however this function will not work so they need to be added manually. 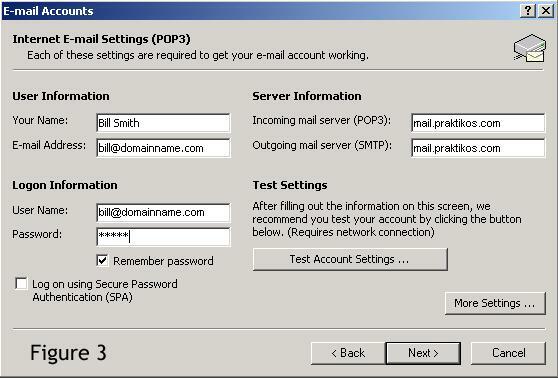 The first step in configuring this is to select “POP” as the mail account type. Once you’ve entered all the information, select the “Save” button. You will then get a popup asking if you want to set the account up without SSL. Select “Yes”. You should now see your email account in your accounts list. By default the iPhone configures itself to leave messages on the server after a POP send/receive. This should generally be left as it is otherwise the message you download on your iPhone will not also get delivered to your main computer. However, this setting can be adjusted by opening the setting page for the account again, scrolling down and selecting “Advanced” and then adjusting these additional settings as required.